Slate has been a solidly liberal voice online for the past two decades. So when its staff decided to form a union earlier this year, they didn’t expect a drawn-out labor fight. Yet Slate management has put up stiff resistance to the effort for months, using rhetoric that anyone familiar with attempts to weaken organized labor will recognize. The site’s management declined to voluntarily recognize a union in March, after more than 90 percent of editorial staff signed cards signaling their intent to join the Writers Guild of America-East. Higher-ups, including the site’s editor-in-chief and the company’s chairman, have since tried to dissuade them from unionizing at all, according to internal emails obtained by Splinter. Current and former employees, some of whom spoke on the condition of anonymity out of fear of retribution, said it’s left Slate organizers grappling with how aggressively they should force the issue in a newsroom known for technocratic liberalism. The question has become even more complicated as the publication has fashioned itself as a standard-bearer of the anti-Donald Trump resistance. The dispute comes as a wave of news sites—including Gizmodo Media Group, The Huffington Post, Vice, and others—have unionized, with journalists seeking labor protections in a digital economy that has upended traditional business models. The aforementioned media organizations are represented by WGAE, the same union Slate staffers are attempting to join. 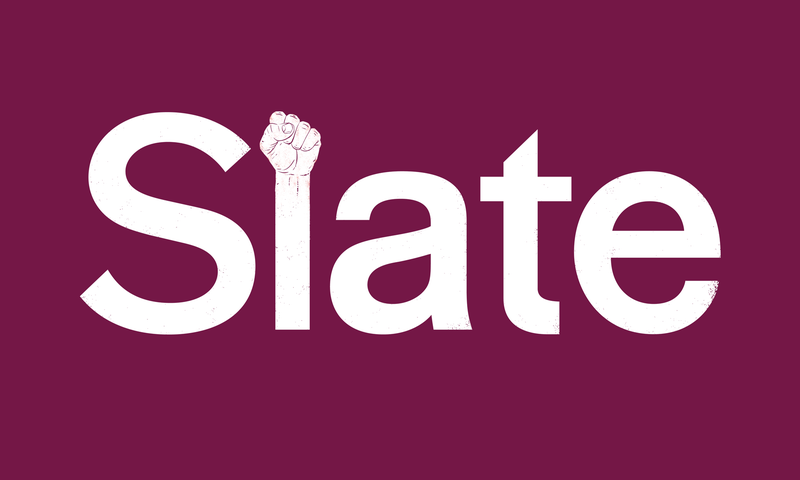 The Slate bargaining unit comprises about 50 editorial employees—the vast majority of its editorial staff—but does not include the Slate Group’s podcast network, Panoply, which hosts shows on which some staffers appear. The 20-year-old digital media organization is owned by Graham Holdings, a conglomerate that includes education services provider Kaplan and local TV stations. Current and former staffers said that the top-down campaign against the union hasn’t been as cartoonish as what’s been seen at other media outlets, such as DNAinfo and Gothamist, where management essentially threatened to shutter the sites if they unionized. But the pushback has been consistent from the start. Soon after the vote to unionize in March, Editor in Chief Julia Turner led a non-compulsory staff meeting at which management outlined its anti-union position in full, according to both interviews with staffers and internal emails. Jacob Weisberg—former editor of the site, and currently both the chairman of the Slate Group and primary host of its popular Trumpcast podcast—has largely spearheaded the efforts through memos to staff filled with familiar anti-union talking points. Slate management has called for a second vote to be administered by the National Labor Relations Board, sowing trepidation among organizers who fear a time-intensive process in an agency increasingly stocked with Trump appointees. Union organizers counter-offered, calling for a second vote conducted by a private third party. So far, Slate brass haven’t budged. Management’s decision not to voluntarily recognize the union has “been made with great care and with the sincere intent to improve the quality of jobs” at the company, Turner wrote to Splinter. Slate’s union drive began during the final stretch of the 2016 presidential campaign, when then-politics editor Tommy Craggs—a onetime executive editor of Gawker Media—began discussing the idea with colleagues in earnest. He told Splinter in an email that he approached Turner in October in order to avoid appearing overly hostile. “There was a real fear that the union push might be taken—by [Turner], by management in general—as a referendum on her leadership,” Craggs wrote. But the ensuing conversation was “a disaster,” he said, adding that Turner responded with what he described as “the usual guff about Slate being a family, about unions being too inflexible and lumbering for light-footed media” companies. Craggs’ departure only accelerated the union drive. In announcing the staff’s intention to join the WGAE in March, the Slate Organizing Committee also laid out some of its aims for contract negotiations: formalized salary floors and cost-of-living adjustments; more transparency around discipline and termination; and standards for improving staff diversity. The asks generally mirror what other digital media shops represented by the WGAE, including Gizmodo Media Group, have sought in their own contracts. In subsequent memos, Weisberg and management reiterated their preference for an NLRB vote because they said it would provide “the surest, most unambiguous sign to us of whether you want to be represented by the WGAE.” The Slate Organizing Committee has balked at that proposal, pointing to sites like The Huffington Post and Vice, where management voluntarily recognized their unions. The Slate Organizing Committee’s overarching fears are twofold: “unnecessary delays” brought about by the NLRB’s paper-ballot voting process—many staffers of the New York-based site work remotely—and the potential influence of Trump appointees. “We do not feel the NLRB will be a neutral third party,” the committee wrote in one memo to management. Instead, it proposed an electronic vote by another third-party administrator. Management hasn’t agreed to that idea, writing in multiple emails that concerns of political influence or bureaucratic inertia at the NLRB are overblown. “We fear you may not have complete information about what an NLRB election entails,” the company wrote in one message attempting to assuage concerns. That stalemate has basically held since. “We were hoping Slate, like other progressive news organizations have recently done, would live up to its values, respect the voice of staff, and agree to recognize a union,” the Slate Organizing Committee wrote in a March 24, 2017 email to Weisberg. Management didn’t respond to that appeal in subsequent messages to staff. Turner also didn’t address the issue when Splinter raised it with her. Even though rank-and-file staffers have discovered an apparent limit to Slate’s brand of progressivism, the site has reaped tangible rewards from an aggressive effort to portray itself as a leading light of the anti-Trump movement. Since November, the company has roughly doubled the number of paying members of its premium offering, Slate Plus, to about 35,000, according to Gabriel Roth, editorial director of Slate Plus. Slate Editor in Chief Julia Turner, Chief Political Correspondent Jamelle Bouie, and columnist Michelle Goldberg. Image via screengrab. Assuming new members since the election all paid the discounted, first-year fee of $35 apiece, the recent growth represents about $600,000 in new revenue. Memberships jump up to $50 after their first year. Many publishers, most notably The New York Times, have sought more reader support as advertising has declined as a share of their business. The model is built on brand loyalty, with paying customers buying into a media outlet’s editorial mission or political worldview. With no movement from management yet on its preference for an NLRB vote, Slate organizers are now debating how to compel company higher-ups into changing their minds. Julia showed your letter about unionization to me. I understand that you’ve discussed this extensively, and I don’t take those deliberations lightly. We have chosen not to voluntarily recognize the union because we want you to have a chance to consider the views of management directly before making a final decision on the matter. You’ll have a chance to do that in an election conducted by the National Labor Relations board and signing an authorization card does not obligate you to vote for the union in an election. Julia shared her perspective with many of you this week, and I want to share mine here. I think it is important for you to understand Slate’s and my personal views about why we prefer to work directly with the edit staff without a union in between us. On a personal level, my own career here, in which I’ve worked as a writer, an editor, and on the business side, exemplifies to me why Slate employees are better off without a union. Slate has always prized flexibility and fluidity. In my 20 years here, I’ve benefitted massively from the freedom writers and editors have to pick their stories, to work at home, to work flexible hours, to change jobs and roles, and to take time off to write books. With a union, all of that becomes subject to negotiation and team-wide rules, rather than your own discretion and a 1:1 discussion with your editor. A union imposes costs on the organization without creating any compensating resources. We’re doing our utmost to make Slate a sustainable, profitable business. In countless ways, a union makes that harder and diminishes the resources we have to invest in editorial talent and our editorial product. A union won’t prevent layoffs or make anyone’s job more secure. In my opinion, it makes Slate as a whole less secure. Editors need authority and autonomy to create great magazines. As a journalist, you should want to work for a powerful editor with a strong vision, because your work will shine in that environment. Julia is that kind of editor. But with a union, Julia would have far less freedom and discretion to serve as your advocate and continue to make Slate excellent according to her vision of it. It’s also true, in my experience, that top editors are less interested in working at unionized publications where they face more control and restriction. My last reason for not wanting a union at Slate is that I have seen the future and it’s filled with bureaucracy and procedure. That world is just not Slate-y. And we would sacrifice our freedom and flexibility for no guaranteed gains. All a union can guarantee is a conversation about a contract. I believe that with the robust and functioning HR department we now have in place, we can have that conversation, discuss employee concerns, and be responsive and transparent, without inviting a third party with its own motives and interests into our relationship. A union fosters a culture of opposition, which is antithetical to our way of doing things. I’d rather work on improving a cooperative culture where information is widely shared, where everyone’s ideas are welcome, and where discussion is open throughout the organization. That’s the Slate I know and love, and I honestly think a union imperils it. I also want to say a word about diversity. I’m glad it is important to all of you. Making Slate more diverse at all levels is also hugely important to me personally. We’ve made moves during the past few years to make Slate more diverse—eliminating unpaid internships so candidates of more diverse economic backgrounds can get a foot in the door; changing our job posting policies to ensure that a wider array of candidates find our lists; working to improve our recruitment, retention and promotion practices. In the last year, a diversity task force, head by Lowen and including representatives from across the company, has been reviewing these efforts, working to formalize our best practices and recommend improvements. We still have a long way to go. But in practice contract negotiations between management and a union are about pay and benefits for existing employees, and don’t encompass policies around who or how to hire. They’re unlikely to do anything to advance our current efforts and could impede them. All the same, the choice is yours. We just want you to consider this perspective before making a binding decision about whether to be represented by a union that cannot be easily undone. As this process continues we will answer your questions to the extent that we can. Federal labor laws regulate what employers can say during a union organizing drive, but we plan to communicate with you openly within the bounds of the law. What Does It Mean to Be Anti-Union?